There was a time when I was afflicted by the supernatural in the form of ghost stories and horror movies. Being terrified by terrible tales of ghosts, devils, vampires and monsters was an enjoyable type of agony then. It was a self-inflicted period of craze for the macabre. This phase in my life began in my childhood and continued through my teenage years lasting till my early thirties. I do see an occasional scary movie now and then but reading such books has ended. While referring to reading books causing dreadful fright, an experience that I recall now with amusement is reading Bram Stoker’s ‘Dracula’. The novel written in 1897 by the Irish author was a Gothic horror cult classic. It is about the human vampire Count Dracula who relocates to England from Transylvania. I was 13 when I first read it in full. It was late into the night when I finished. Dracula was the embodiment of evil and horror. The fear of the devil came upon me. I frantically read the Bible again and again. I kept entreating God to protect me from Dracula. Finally I went to sleep with a small cross tucked under my pillow. I am reminded of that incident concerning Dracula and my past fascination for ghosts and horror by the death of legendary British actor Sir Christopher Lee. The 93-year-old veteran has enacted the role of Dracula in many movies and personified the Transylvanian Count on screen to generations of film fans including myself. Dracula was made alive to me on the screen by Christopher Lee. 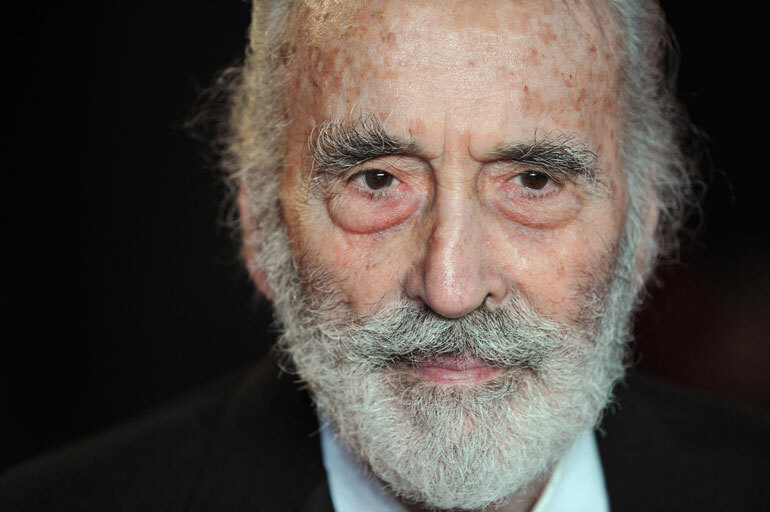 Christopher Lee was an actor of repute who received many honours including a knighthood in 2009. In a career spanning more than six decades, he has acted in about 350 film and TV roles, setting a Guinness World Record. 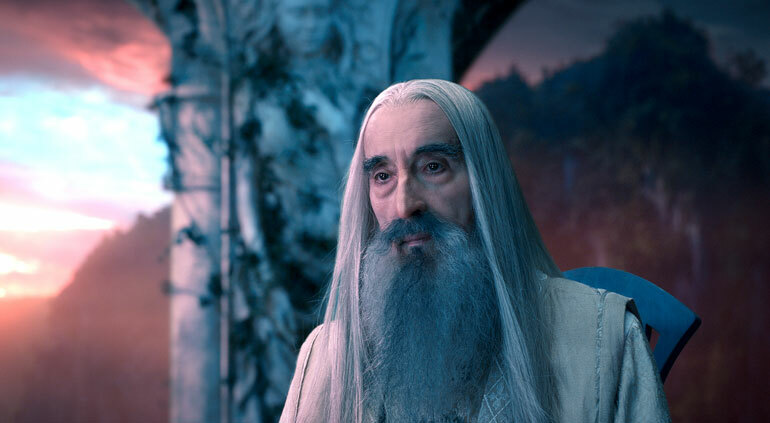 The younger generation of today will identify Christopher Lee as the wizard Saruman in ‘Lord of the Rings’ and Count Dooku in ‘Star Wars’. To an earlier generation Christopher Lee will always be remembered as Dracula, though the actor himself hated being stereotyped in that part. From ‘Dracula’ in 1958 (it was titled ‘Horror of Dracula’ in the USA) to ‘The Satanic Rites of Dracula’ in 1973, Christopher Lee has acted in many versions and variations of Dracula. Among these are ‘Dracula Prince of Darkness’ (1965), ‘Dracula has Risen from the Grave’ (1968), ‘Taste the Blood of Dracula’ (1969), ‘Scars of Dracula’ (1970), ‘Dracula A.D. 1972’ (1972). At one stage of his life Christopher Lee hated to act as Dracula but was reluctantly compelled to do so due to “emotional blackmail”. The British actor who portrayed Dracula and several other epitomes of evil on the screen passed away on 7 June at the Chelsea-Westminster hospital. His wife Birgit Krancke Lee made a public announcement of his death only four days later on 11 June. The delay was in order to inform all other family members before the public came to know. News of Lee’s death though belated has churned in its wake a worldwide wave of nostalgic sorrow. Among those issuing condolence messages was UK Prime Minister David Cameron. Lee was a longstanding supporter of the British Conservative party. Sir Christopher Frank Carandini Lee was born on 27 May 1922 in London. His father was Lt. Col Geoffrey Trollope Lee of the 60th King’s Royal Rifle Corps. His mother was Contessa Estelle Marie Carandini di Sarzano. She was of Italian aristocracy. Christopher had one sister, Xandra Carandini Lee, who is no more. His maternal ancestors trace their lineage to European emperor Charlemange and were entitled to wear the coat of arms of the Holy Roman Empire. Christopher Lee married Danish painter and model Birgit Krancke known as “Gitte” on 17 March 1961 after a year-long courtship. Their daughter Christina Erika Carandini Lee was born in 1963. His great grandmother was the famous Opera singer Marie Carandini. One of Lee’s distant relatives was Gen. Robert E. Lee, who commanded the Confederates in the American civil war. Ian Fleming, author of the James Bond novels, was a step-cousin of Lee. British actress Dame Harriet Walker is also a niece. Christopher Lee joined the Royal Air Force during World War II. He later worked for the Special Air Services (SAS). After the war his cousin Nicolo Carandini who was then the Italian Ambassador to Britain suggested that Christopher try his hand at acting. Christopher liked the suggestion and enrolled at a training school for actors (Charm School) run by the Rank organisation. Later he signed a seven-year contract with Rank Organisation. Despite the training at Rank’s charm school, Lee found it difficult to get good acting roles. His imposing height of six feet and four-and-a-half inches was seen as an impediment to getting parts easily. Lee’s film debut was in 1947. He acted in Terence Young’s ‘Corridor of Mirrors,’ playing the part of Charles in one scene. The Director surmounted Lee’s height problem by seating him at a table in a nightclub with the other actors such as Lois Maxwell, Mavis Villiers, Hugh Latimer and John Penrose. The film was a huge success and a number of ‘Frankenstein Monster’ films starring Cushing and Lee were made by Hammer Productions. It was a passport to success for both Cushing and Lee, who became close friends thereafter. They acted together successfully in many films. The Dracula and Frankenstein films boosted Lee’s film career immensely. He branched out to many more roles in different films thereafter. One of these roles was that of the criminal genius Dr. Fu Manchu who was a fictional character invented by British novelist Sax Rohmer. Film Producer Harry Alan Towers made five ‘Fu Manchu’ films starring Christopher Lee who played the titular character with oriental features and a moustache which became famous or notorious as the Fu Manchu moustache. The five films were ‘The Face of Fu Manchu’ 1965), ‘The Brides of Fu Manchu’ (1966), ‘The Vengeance of Fu Manchu’ (1967), ‘The Blood of Fu Manchu’ (1968), and ‘The Castle of Fu Manchu’ (1969). As stated earlier, the writer Ian Fleming who wrote the James Bond novels was a step-cousin of Christopher Lee. His 1958 novel ‘Dr. No’ was filmed under the same name in 1962 by Harry Saltzman and Albert R. Broccoli. The Director was Terence Young. Fleming wanted his cousin to play the part of the Villain ‘Dr. No’ and Lee accepted. The absentminded Fleming forgot to inform the producers and director of this. Not knowing that Lee had consented, another well- known actor Joseph Wiseman was picked to play Dr. No in the first-ever James Bond movie. Christopher Lee however got another chance to act in a James Bond film in 1974. Ian Fleming had passed away but Saltzman and Broccoli continued to make James Bond films. In 1974 they made ‘The Man with the Golden Gun’ with Roger Moore instead of Sean Connery as ‘Double O Seven’. The film script was vastly different to that of the original book. Christopher Lee was cast as Francisco Scaramanga, the man with the golden gun who assassinates persons with a golden bullet. Scaramanga was projected in the film as an alter ego to James Bond like “a super-villain of the stature of Bond himself”. Lee says of his role: “Ian wasn’t with us when I did Scaramanga, who is not remotely like the character in the book. In Fleming’s novel he’s just a West Indian thug, but in the film he’s charming, elegant, amusing, lethal… I played him like the dark side of Bond.” His portrayal of Scaramanga earned Christopher Lee rave reviews as a “Goodish Villain”. Lee’s part was cut off in the final film of the Trilogy but re-instated in the extended DVD edition due to public outcry. Another role in which Lee made his mark was as Count Dooku also known as Darth Tyranus in ‘Star Wars’. Lee played Dooku in ‘Attack of the Clones’ (episode two) and ‘Revenge of the Sith’ (episode three). What is impressive about Lee’s performance is that he did much of the stunts himself despite his age. Lee has acted in more than 200 big screen films and over a 100 small screen films playing numerous parts. Which is the best film he ever starred in? According to Lee it was ‘The Wicker Man’ in which he acts as Lord Summerisle. The film made in 1973 was inspired by David Pinner’s novel ‘Ritual’ and was directed by Robin Hardy. The film has achieved celebrity status as an intelligently-made horror movie. An American re-make of the British film was released as ‘The Wicker Man’ in 2006 with Nicolas Cage. Among the diverse roles essayed by Christopher Lee, which is the one he savours most? “I played Muhammed Ali Jinnah, the founder of Pakistan .That’s the best thing I’ve ever done. And the greatest responsibility I’ve ever had as an actor because quite a few of his relatives came to watch and they were wonderfully supportive.” The biopic was made in 1998.The narrator is Hindi actor Shashi Kapoor. “It’s a very, very good film but, I’m guessing, the Americans were a bit cautious,” said Lee, referring to the film’s non-release. The film, which was also the subject of unspecified legal wrangles, was finally released on DVD earlier this month and according to a delighted Lee is selling extremely well, but clearly its thwarted release remains a disappointment.